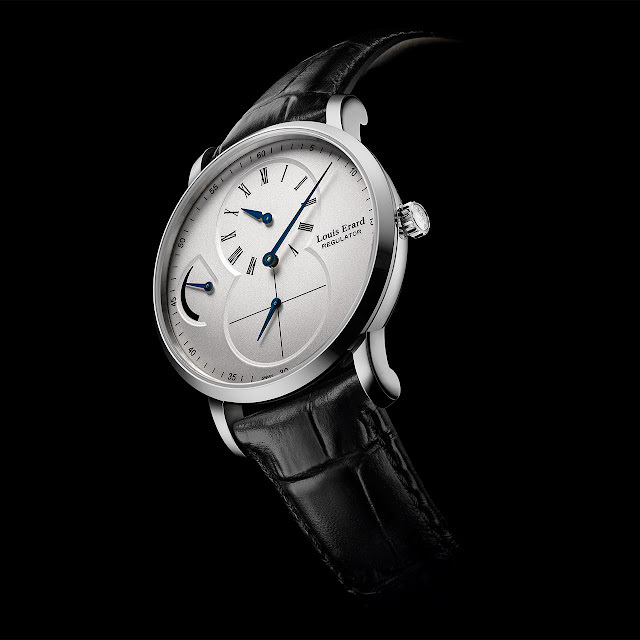 Louis Erard presents the masterful Regulator Power Reserve, truly an "Icon of Excellence" that once again demonstrates its vitality, creativity and expertise. The Regulator Power Reserve is both a tribute to the early instruments of precision timekeeping and a contemporary expression of the brand's virtuoso skill, as it draws on a complication that is exclusive to the Le Noirmont watchmaker. The line now extends from the original silver tones to include a sleek black counterpart whose sobriety makes the perfect foil for the exclusive regulator-style display. 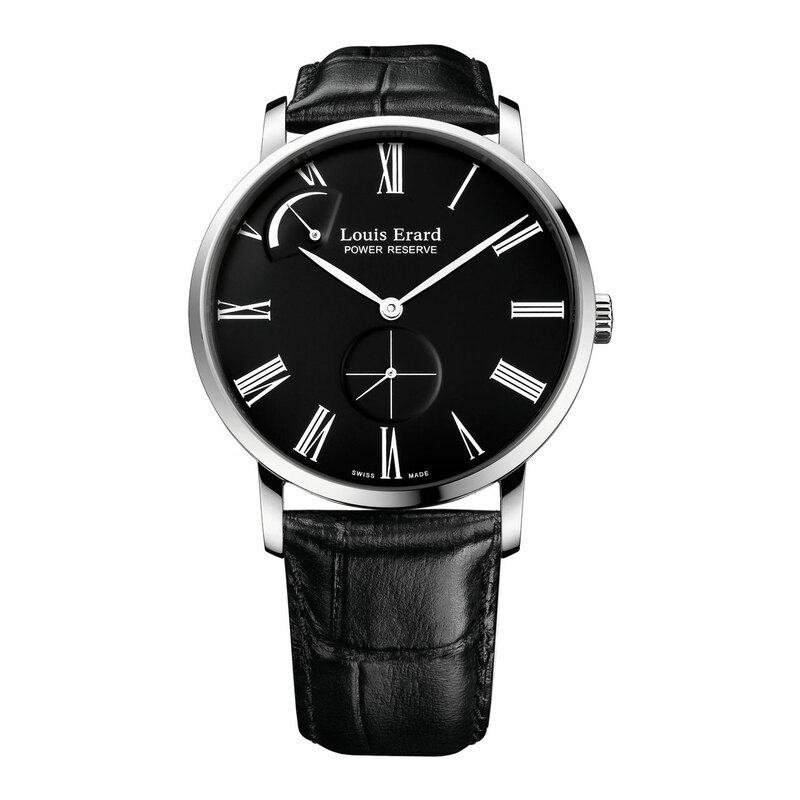 Louis Erard proves that it can take the most consensual displays to a new level of perfection. Forty millimetres that inspire multiple variations and continue to embody an uncompromising philosophy of fine timepieces at affordable prices. Power Reserve, hand-wound mechanical, ETA 7001 RM 10 calibre with in-house complication; silver-toned or black dial, central hours and minutes, small seconds at 6 o'clock, power reserve at 10 o'clock.